The BRODIX BB-4 valve angles have been rolled 2° from stock to produce more torque and less chamber volume. The BB-4 has a raised intake port design (approximately .400”) allowing the short-turn radius a better air flow angle without sacrificing velocity.Our competitors offer a similar version of these heads, but they have larger intake ports in the stock location. The competitor’s low profile head slows down the air speed making the engine extremely lazy. 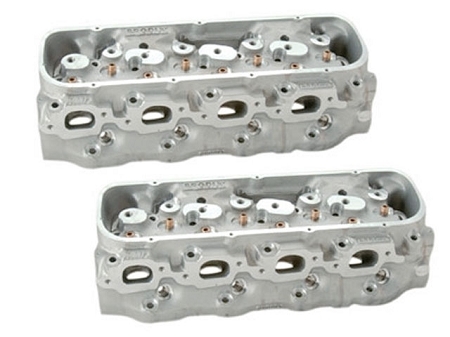 If you want to take the next step up from a standard valve angle cylinder head, the BRODIX BB-4 is the ticket.